We present our CIA Ovens range of Quivers, Rod Ovens and Flux Ovens, with many updated features and new Models, all our Welding Ovens are engineered with 3D Solidworks CAD software, the panels are laser cut and bent using the latest generation laser controlled machines. 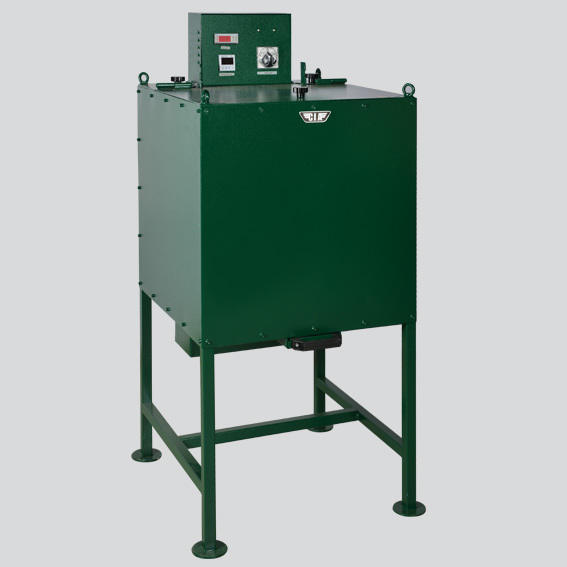 All the Stationary Rod Ovens and Flux Ovens are Digitally Controlled. We guarantee quick deliveries, competitive price and the prestige of a Premium, Quality Brand. We have a complete stock of spare parts, also for the old series of CIA Welding Ovens. 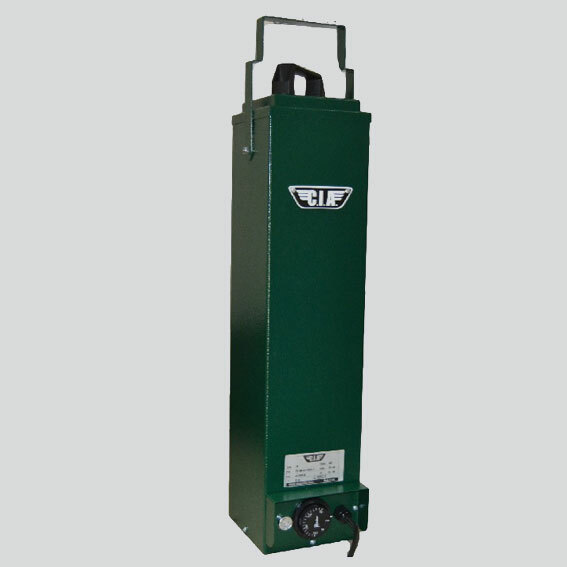 The CIA flux ovens are used for the holding and reconditioning of flux, utilized in the submerged arc welding process. The flux agglomerated must be kept between 300°C and 350°C for 2 hours (for a maximum of 10 hours). While the perfused flux must be kept between 200°C and 250°C for 2 hours (to a maximum 10 hours). No flux can be reconditioned more than three times. Our models are differentiated by load capacity. On the welding site the basic electrodes for welding steels with low carbon coalesce and the electrodes for welding stainless steels must be maintained in ovens at pre-heated temperatures between 90°C to 110°C. All the rods left over from the working day, should be returned to a Holding Oven. The CIA Holding Ovens are used for the intermediate conservation of the electrodes before being distributed to portable Rod Ovens for each welder. Electrodes should be in good condition prior to being stowed in the holding oven or transferred directly from the unopened package of after being reconditioned. Basic Electrodes for the welding of low (carbon) coalesce steel should be maintained between 150°C and 200°C, the electrodes for welding of stainless steel, should be maintained between 120°C and 150°C. The CIA Holding Ovens are used for the intermediate conservation of the electrodes before being distributed to portable Rod Ovens for each welder. Electrodes should be in good condition prior to being stowed in the holding oven or transferred directly from the unopened package of after being reconditioned. Basic Electrodes for the welding of low (carbon) coalesce steel should be maintained between 150°C and 200°C, the electrodes for welding of stainless steel, should be maintained between 120°C and 150°C. 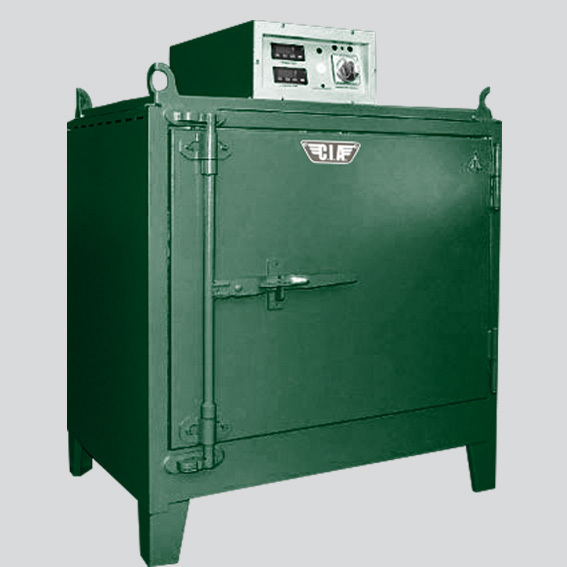 The CIA reconditioning ovens are used when the electrodes have been exposed to humidity. Without the use of reconditioning ovens, the electrodes would not satisfy the required Hydrogen content in the weld deposit (normally inferior to 5ml of H2 by 100g of deposited metal). Basic electrodes for the welding of low carbon coalesce steel must be reconditioned between 350°C and 400°C, the electrodes for the welding of stainless steel, must be reconditioned between 250°C and 300°C. 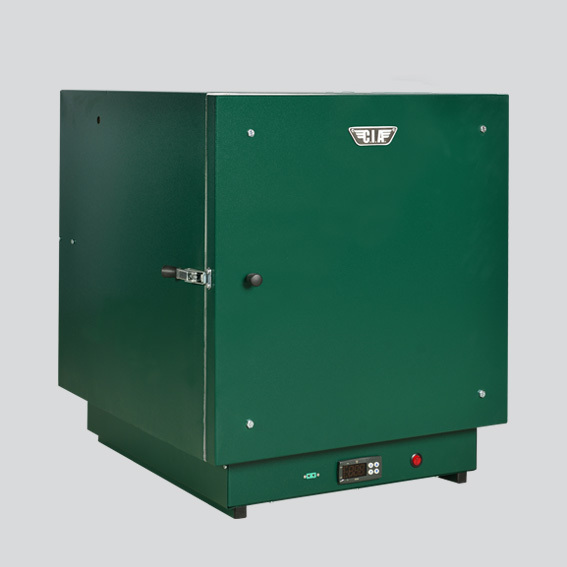 Our Rod Ovens are static for small volume, when the internal volume is increased we offer ventilated ovens instead, this guarantees a uniform temperature in the entire internal chamber. The temperatures shown on the digital display, are always referring to the air, not to the temperature of the elements which is much higher.